It is with great sadness that I must inform you that Ramsay Cook, a distinguished member of the History Department from 1969 to 1996, passed away on 14 July 2016. Born in Alameda, Saskatchewan, Ramsay Cook began his academic career by taking his Bachelor of Arts degree at the University of Manitoba in 1954. He then went on to Queen’s to complete a Master of Arts thesis in 1956, under the direction of Arthur Lower, on civil liberties. In 1960, he completed his Ph.D. at the University of Toronto with a dissertation on John W. Dafoe. The revised thesis became his first book, The Politics of John W. Dafoe and the Free Press (1963), a study which reveals some of the basic characteristics of his scholarly work. He looked at an individual, John Dafoe, who was not a traditional politician but rather an inveterate prairie journalist who played an influential role in shaping ideas in the public domain, including the West, Ottawa, and Canada’s role in the international community. This first study revealed his fascination with ideas and the process of nation building, themes that would occupy him throughout his career. Sydney Kanya-Forstner (October 24, 1940 - March 31, 2017) was a much esteemed colleague in the Department of History for no fewer than thirty-four years. 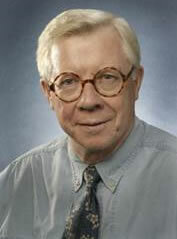 Born in Budapest in 1940 and educated in Toronto at Upper Canada College, he gained his Honours B.A. in History at Trinity College, University of Toronto in 1961. He won a prestigious Commonwealth Scholarship – as well as a Woodrow Wilson Fellowship, a Canada Council Fellowship and a Queen Elizabeth II (Ontario) Scholarship, all declined – to study for his Ph.D. at King’s College, Cambridge, where he completed his thesis in just four years in 1965. He was immediately appointed to a four-year Research Fellowship in History at Gonville and Caius College before being elected a Fellow and College Lecturer in History at that same college in 1969. His first book, The Conquest of the Western Sudan: A Study in French Military Imperialism (Cambridge University Press, 1969), was based on his doctoral thesis and remains the definitive work on French expansion in West Africa. He was tempted back to Toronto in 1972 to take up an appointment as Associate Professor at History at York, where he continued to publish a series of pathbreaking studies on the history of French West Africa and French imperialism more generally. Notable was the book that he wrote in collaboration with Cambridge historian Christopher Andrew in 1981: The Climax of French Imperial Expansion 1914-1924 (Thames & Hudson/Stanford University Press). He was promoted to the rank of Professor in 1982. York University Professor of History Bernard Luk, author of numerous publications on modern East Asia, China, and Hong Kong, passed away at Sunnybrook Hospital on March 23 after suffering a stroke. He was a beloved teacher and colleague. 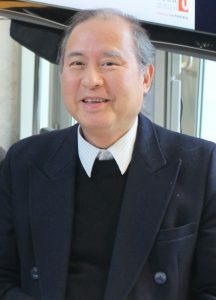 After receiving his PhD in History from Indiana University in 1977, Bernard Luk taught at the Faculty of Education, Chinese University of Hong Kong, before joining the History Department at York University in 1991. On leave from York between 2003 and 2007, he served as the Vice-President of Hong Kong Institute of Education. Historian Michael Michie died on Oct. 14, after a brief illness. Prof. Michie was a long-standing member of the York community, with fifteen years of contract teaching in various departments, especially at Atkinson College, before obtaining a conversion appointment to History in 1990. He was then the GAA (now CUPE 3903) second president. 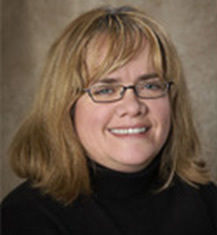 Michie is an associate professor of history in the School of Arts & Letters. He wrote “An Enlightenment Tory in Victorian Scotland. The Career of Sir Archibald Alison” McGill-Queen’s University Press, Montreal & Kingston (1997). Professor Michie’s publications in refereed journals include: “‘Buried in the Antipodes’: an Enlightenment Scot in Colonial New Zealand,” Scottish Tradition, Vol. 21 September 1996. “‘Mr. Wordy’ and the Blackwoods: Author and Publisher in Victorian Scotland,” The Bibliotheck Vol. 21 (1997). He was Associate Dean of Atkinson Faculty 2002-07. I am deeply saddened to convey the tragic news that Myra Rutherdale (1961-2014), passed away early in the morning of May 22. Despite battling cancer for five years, she was able to live fully and actively until she died. She was ill but her passing was unexpected. She had a massive heart attack at 5 pm on May 21, never re-gained consciousness, and died peacefully surrounded by family and friends at 12:40 am on May 22. She is survived by her husband, Robert Rutherdale, a historian of Canada at Algoma University, and her son Andrew, an artist and student. An Associate Professor at York University, Myra specialized in gender and embodiment; Native/Newcomer relations; Aboriginal health; the history of medicine; religion and mission histories; northern Canada; British Columbia; environmental history; and cultural history. She is best known for her three books: Women and the White Man's God: Gender and Race in the Canadian Mission Field (UBCP 2002); Contact Zones: Aboriginal and Settler Women In Colonial Canada, edited by Myra and Katie Pickles (UBCP 2005); and Caregiving On The Periphery: Historical Perspectives on Nursing and Midwifery in Canada (MQUP 2010). She taught courses on 20th-century Canada, the history of women in Canada, imagined bodies, and Indigenous history in Canada. She inspired and sustained a vast circle of family, friends, and colleagues, stretching across Canada and the globe. Long-serving York University Professor Emeritus Orest Subtelny passed away in Toronto on Sunday, July 24. Subtelny joined the Department of History in 1982 to take up a position that was in part funded by the Canadian Ukrainian community. Throughout his York career until his retirement in 2015, he was cross-appointed to the Department of Political Science. Born in Krakow on May 17, 1941, Subtelny and his parents left Poland in 1949 for the United States as refugees and settled in Philadelphia. By coincidence, he went to the same high school (Central High School) as another member (now retired) of York’s History Department, Marc Egnal. He completed his BA in history in 1965 at Temple University before moving south to the University of North Carolina at Chapel Hill, where he earned his MA in history in 1967. 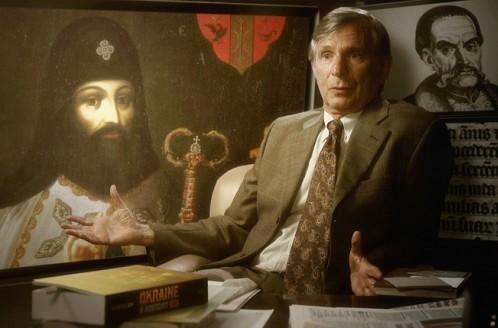 He then headed to Harvard for his PhD, which he completed in history and Middle Eastern studies in 1973 with a thesis on “Unwilling Allies: The Relations of Hetman Pylyp Orlyk with the Ottoman Porte and the Crimean Khanate”. After two years as a lecturer in Harvard’s History Department, he went on to teach as assistant and then associate professor of history at Hamilton College in Clinton, N.Y., before moving to Toronto in 1982 to take up a position at York. In 1987, he was promoted to full professor and remained at York until his retirement in 2015. 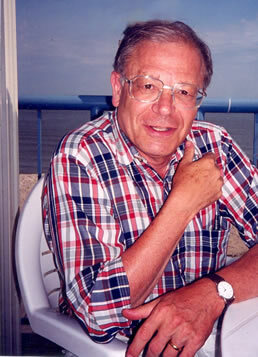 In 1993, he taught as a visiting professor at the University of Tübingen.